CONTACT MARRY ME MARILYN BEST FUN WEDDING CELEBRANT WITH THE WOW FACTOR! How Did You Hear About Marry Me Marilyn? To make a Booking with Marry Me Marilyn Marriage Celebrant or find out if I am available on your special date, please phone me on 041 334 4134 or complete the Ceremony Enquiry Form and I will get back to you as soon as possible! Please phone me or use my contact form to contact me but if email is easier for you please include your phone number and all your wedding information using the contact form as a guide. 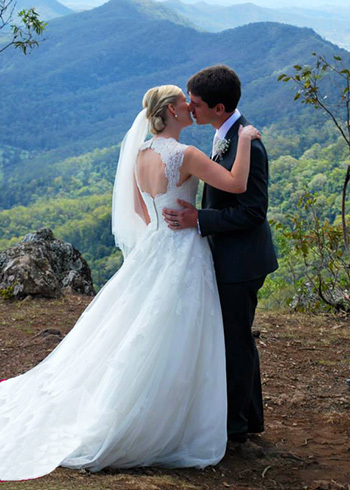 Marry Me Marilyn Best Fun Marriage Celebrant Gold Coast Brisbane Byron Bay Celebrant for Heavenly Hinterland Gold Coast Resorts and Retreats, Celebrant for National Parks Under the Rainforest Canopy, Marriage Celebrant for Gold Coast Parks by the Sea, Wedding Celebrant Beautiful Botanic Gardens, Celebrant for Gold Coast Chapels, Stylish Wedding Venues, Restaurants with Panoramic Ocean Views or a Fun Celebrant Gold Coast Theme Parks.